The Archbishop of Chigago, Cardinal Blase Cupich, has made a powerful statement on the executive order on migfants and refugees. 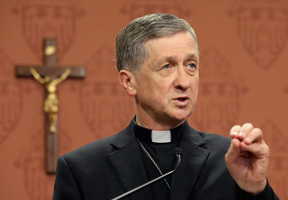 In his Jan 29 statement Cardinal Cupich echoes the sentiments of Pope Francis, warning "The yardstick we use for others will be the yardstick which time will use for us." From Davao, southern Philippines, novice master, Fr Fernando Ingente SM, and his team commenced the latest international Marist novitiate on Jan 23 with five novices from Mexico, Oceania and Africa. 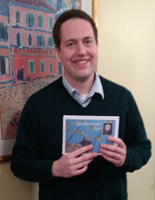 Dutch Marist seminarian, Tom Kouijzer SM, with his Colin calendar at the Dublin community of An Turas. The 'Colin Calendar' for 2017 is being distributed across the globe, with a special focus on Marist formation communities and houses of welcome. This year's calendar includes images of places established or visited by Fr Colin during his years as the first Superior-General of the Society of Mary (1836-54). 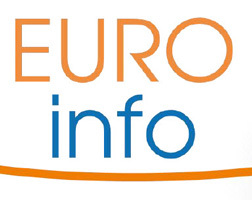 It is available in English, French, Portuguese and Spanish in both A4 and A5 format. 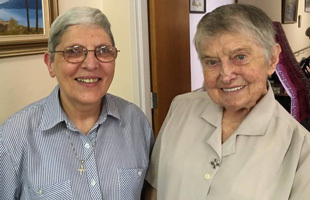 'We gathered in Woolwich on Jan 21 to welcome our Congregational Leader, Sr Grace Ellul, home to Australia. Grace is making her official visitation of our Unit. It was a very joyous occasion. 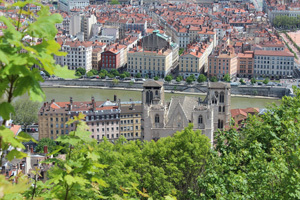 The cathedral of Lyons, seen from the hill of Fourvière. Since Fr Colin died within the archdiocese of Lyons his Cause needs to be initiated from there. Recently the bishops of France endorsed the Cause. At an historic meeting to be held in Lyons, France, on Jan 26, the Cause for Beatification of Marist Founder, Jean-Claude Colin, will be officially opened. Vice-postulator, Fr Bernard Thomasset SM, will represent the Marists as the Cause at the meeting which will include the archbishop, Cardinal Philippe Barbarin, diocesan officials and theologians. 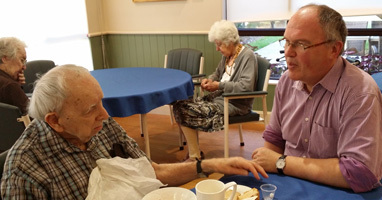 En route to Fiji during a sabbatical period, German Marist and historian, Fr Alois Greiler SM, spent several days in Sydney connecting with local Marists. 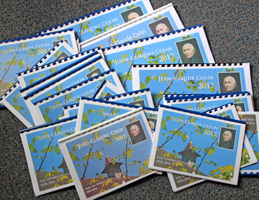 Fr Alois' publication of a descriptive chronology of the life of Jean-Claude Colin was an important step in the Beatification Cause of the Marist Founder. 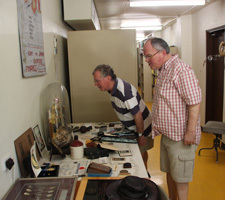 Above: Fr Alois Greiler in Sydney / his chronology of Fr Jean-Claude Colin's life | Fr Alois with fellow-historian, Fr Peter McMurrich, in the provincial archives / ... with Marists Sisters, Carmel Murray and Julie Brand. Below: Visiting Fr Kevin Kerley, and recollecting a past Colinian Colloquium / ... with Montbel Marists, Frs Paul Mahony and Jim Harding. 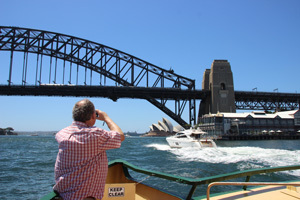 | On Sydney harbour /... and St Patrick's church, Sydney. The leadership group of the Marist Charism & Culture group met at the provincial centre, Hunters Hill, on Jan 19, for their annual review and planning. MCC leaders, from left: Glenn Roff, Chris Comerford, Anne Ireland, Fr Gerard Hall, Adrian Drane, Kim Evans (co-ordinator) and Fr Bob Barber (provincial). 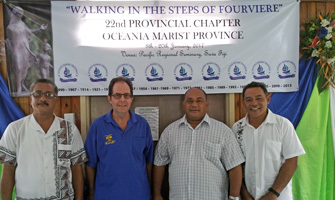 As the Provincial Chapter of the Oceania Marist Province nears its end, elections have been held for delegates to the General Chapter to be held in Rome this year in Sep-Oct. Representing the Pacific province will be Fr Setefano Mataele, (provincial-elect), Fr Lutoviko Manu (regional superior of the Solomon Islands], Fr Susitino Sionepoe (vicar-provincial and president of the chapter) and the current provincial, Fr Ben McKenna, who is an ex-officio member of the chapter. 'The Brothers and Priests of the Society Mary was blessed by the Profession of four newly religious members at Marist International Novitiate Community on January 18, 2017. 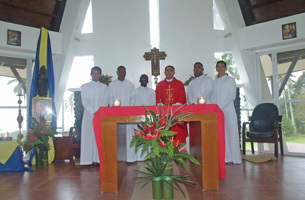 'Yves Tuma (Cameroon, Africa), Emil Kenewata (Bougainville), Hayden Powick (New Zealand) and Cameron Mota (Bougainville) professed the vows of Chastity, Obedience and Poverty in a Eucharistic Celebration presided by Fr. Lionel Mechavez, SM, and concelebrated by Marists priests and Fr. Al Botero, DCD, the parish priest of San Miguel Parish, Eden, Toril.' More Marist Asia. Click here. Anthropologist-theologian, Fr Gerald Arbuckle SM, has announced his latest book, to be released in February, 'Intentional Faith Communities in Catholic Education'. It is part of St Paul's Publications 'Educating Hearts' series. For details, click here. A book launch is set for some time in March. This year's Colinian Renewal Program will be led by Australian Marist, Fr Tony Kennedy, leaving Sydney on Jan 12 for Rome then France. The five-month program will be held at La Neylière in central France, currently experiencing sub-zero temperatures. 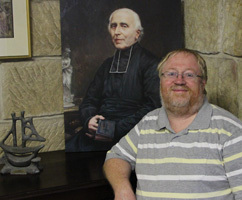 Eleven Marists from several provinces and missiion districts will participate in the 'CPR' which, as Fr Tony observes, may 'breathe new life' into Marist spirituality and mission. The program commences in March. 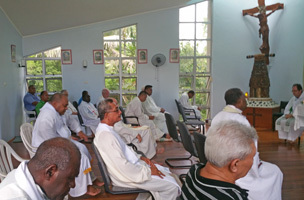 The provincial chapter of Oceania Marist Province began on the evening of Jan 08, at Pacific Regional Seminary and Marist College, Suva, Fiji. The first full day was given over to prayer and reflection. Formal sessions began on Tuesday, Jan 10, with the election of officers and provincial's report. On Jan 10, 1836, the mission-minded Pope Gregory XVI officially entrusted the vast region of western Pacific to the Society of Mary. Marist priests offer Mass this day for God's blessing on their mission, wherever that may be. 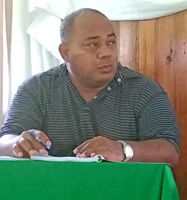 Tongan Marist, Fr Setefano Mataele SM, will be the next provincial of the Oceania Marist Province. 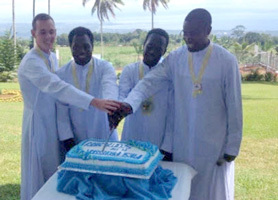 The announcement was made on Jan 07 by present provinical, Fr Ben McKenna, on the eve of the Oceania provincial chapter. Fr Sete, 48, will take up his new role on Jan 01, 2018. More details on the Oceania Province web site. Click here. 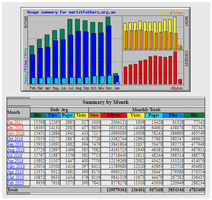 For dedicated, number-loving web visitors our annual statistics afford an interesting distraction. Click here for a summary of 2016. Click here for the webmaster's summary comments. On his first day as the new secretary-general of the United Nations, Antonio Guterres has urged people around the world to make their New Year's resolution "to put peace first". 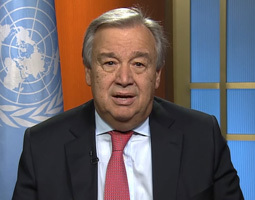 Portuguese-born Mr Guterres made the appeal after taking over the reins of the UN from South Korean diplomat, Ban Ki-moon, whose second five-year term ended at midnight on December 31. Click here for Mr Guterres' speech at the UN. Marist Laity Australia co-leader, Andrew Dumas, reports: 'MLA is about to undertake another immersion experience in the Philippines. 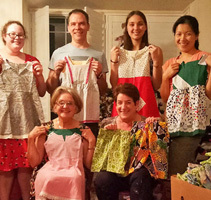 'Our group includes four lay Marists, two ex-students of Marist Sisters College Woolwich and one young adult from St Patrick's in Church Hill in Sydney. 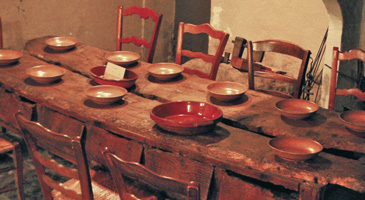 In the village of La Valla, France, on Jan 02, 1817,the young Fr Marcellin Champagnat established the first community of Marist Brothers. 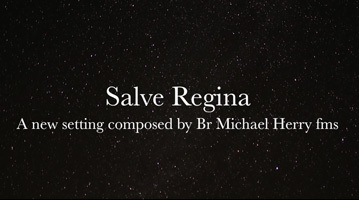 As the Bicentenary of the Brothers; Foundation is celebrated throughout the world, Australian Marist Brother and composer, Michael Herry FMS, has released a new version of the 'Salve Regina' ('Hail, Holy Queen'). 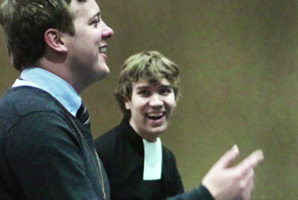 For the video of Br Michael's 'Salve', with images of the Brothers and their history, click here.